The ongoing digging works beneath Al-Aqsa mosque started 12 years ago against the Jews'allegations that "the foundation rock" of King Solomon exists underneath Al-Aqsa mosque, according to Safa news Agency. Jerusalem /PNN/ Israeli police have begun placing new cameras at the Council Gate of Al-Aqsa Mosque to monitor Palestinians' entry and exit, . Arab foreign ministers had strongly condemned the dangerous Israeli escalation in the occupied Jerusalem and Al-Aqsa Mosque as well as Al-Haram Al-Sharif during an emergency meeting held in Cairo on July 27. JERUSALEM, July 31, 2017 (WAFA) -- Israeli security forces caused huge damage to historical documents at Al-Aqsa Mosque during the two weeks of crisis over the Muslim holy site, an official said on Monday. Thousands of Palestinians of all ages have re-entered the compound of Al-Aqsa Mosque in occupied East Jerusalem, after a week of tensions following Israeli measures of putting metal detectors on gates at the Muslim-administered Al-Aqsa mosque compound. The Council of the Arab League, in its extraordinary session, has issued a statement strongly condemning Israel's dangerous escalation in the occupied city of Jerusalem and the Holy Mosque of Al-Aqsa, stressing its absolute rejection of Israel's attempt to impose new facts on the ground aimed at changing the existing historical and legal situation , in clear violation of its legal responsibilities as the occupying force, calling on it not to repeat closure of the Al-Aqsa Mosque in the future. Administration to control the crisis in the Al-Aqsa Mosque. He said the aggression in Al-Quds and against worshippers at Al-Aqsa Mosque proves Israeli intransigence in finding just solutions which will ensure a decent life for the Palestinian people, and tests the seriousness of the international community in curbing repeated Israeli aggression. Jeddah, Dhu-AlQa'dah 1, 1438, Jul 24, 2017, SPA -- The final communique of the meeting of the Permanent Delegates' Committee of the Organization of Islamic Cooperation (OIC) member states held here today, to discuss recent Israeli escalation, in occupied Quds and the unprecedented violations by Israel of Al-Aqsa Mosque sanctity, through closure and the imposition of illegal measures, such as installation of surveillance cameras and electronic gates. Palestinian political factions and organizations called Wednesday for day of rage throughout the occupied territories in support of Al-Aqsa Mosque and to protest recent Israeli measures there. 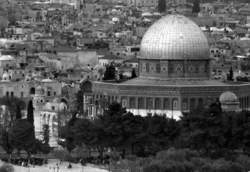 took control over the Al-Aqsa Mosque after the 1967 war, expanding their ambitious schemes to Judaise Jerusalem, demolish the Al-Aqsa Mosque and establish the alleged temple and by increasing their settlement expansion's activity surrounding the city of Jerusalem from all directions. TEHRAN (FNA)- Palestinian Islamic Resistance Movement, Hamas, called on the Palestinian masses to intensify protests in response to the Israeli crimes against occupied Jerusalem and al-Aqsa Mosque.